Our Full Cut in Translucent White Satin. 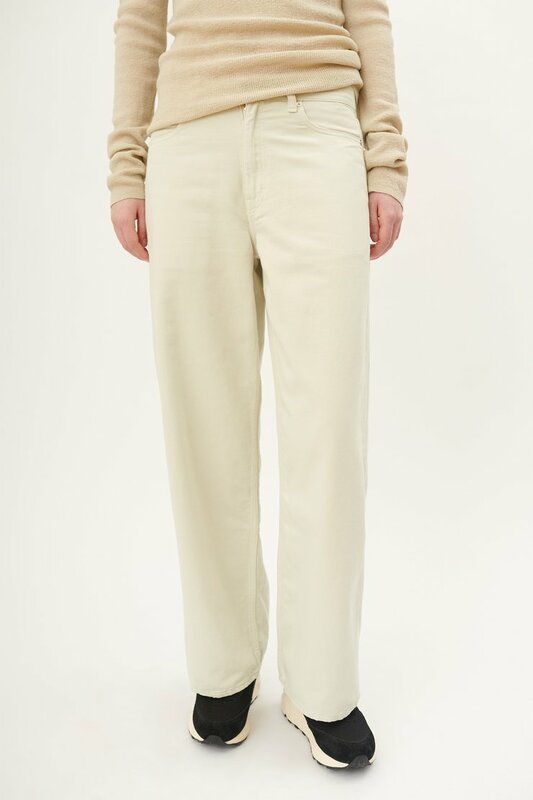 Produced in a pale green, soft Chinese hemp and cotton blend fabric, these trousers sit on the hip and have a straight, relaxed fit. The fabric is inspired by historic workwear satin and has gone through a special washing process to achieve a vintage effect. Our Full Cut in Translucent White Satin sit on the hip and have a straight, relaxed fit. The model is 175 cm tall and is wearing a size 36.